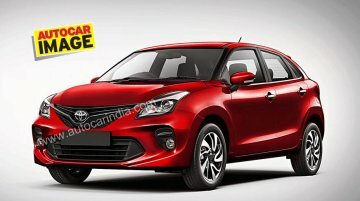 Toyota Kirloskar Motor Deputy MD N Raja had confirmed at the start of this year that their version of the Maruti Baleno will arrive in the second half of the year. According to a new report from.. The Maruti Baleno has become the first high-volume BS-VI car in India. 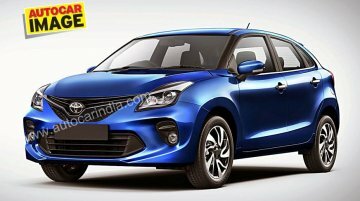 The BS-VI Maruti Baleno will be available with an upgraded 1.2L VVT petrol engine and an all-new 1.2L Dualjet Dual VVT petrol.. 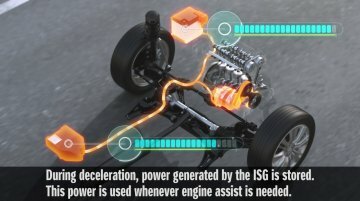 The upgrade to the BS-VI emission norms will push automakers to introduce their more eco-friendly technologies in the Indian market, and at Maruti Suzuki, it will lead to the rollout of the K12C 1.2L..
Maruti Suzuki has been shipping the Baleno mild-hybrid to overseas markets since 2016, and now, it is readying it for the domestic market. While the export markets get it with an ‘SHVS’ badge on the t..
Maruti Suzuki and Suzuki (four-wheelers) reduced production of their vehicles by 8.3% (Y-o-Y) last month. 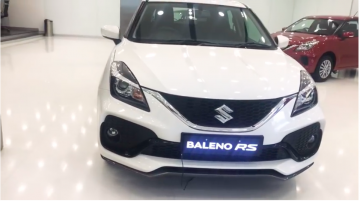 The demand for new four-wheelers in the domestic market is going downhill, and Maruti Suzuki..
A new Youtube video has revealed that the dealerships have already started showcasing the 2019 Maruti Baleno RS (facelift). 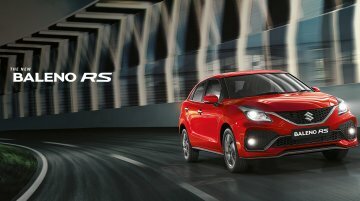 The updated version of the company's only performance-focussed hatchback..
With an average monthly sale of units (between July-December 2018), the Maruti Baleno has been the most popular B2-segment hatchback in the country. 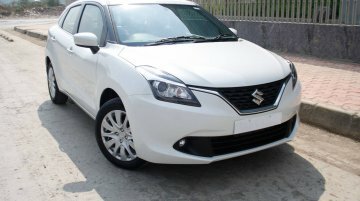 The hot-seller offers a good mix of performance,..
On January 28, the mid-cycle facelift of the fast-selling Maruti Baleno (avg. 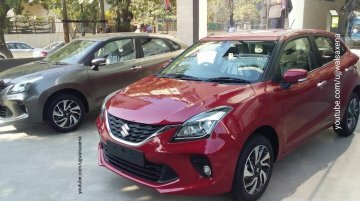 monthly sale between August 2018-January 2019 - 18,055 units) was launched in a price range of INR 5.45-8.77 lakh..
Toyota Kirloskar Motor Deputy MD N Raja has confirmed the launch timeline for the first Toyota-badged Maruti Suzuki product - the Baleno. 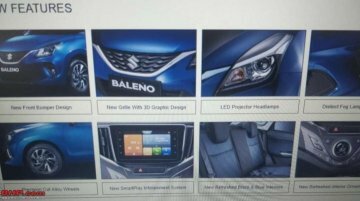 The company plans to introduce its version of the hatchback in..
Update: YouTuber Ujjwal Saxena has shared live images of the 2019 Maruti Baleno from a dealership. Image gallery at the end of the story updated with the new pictures. 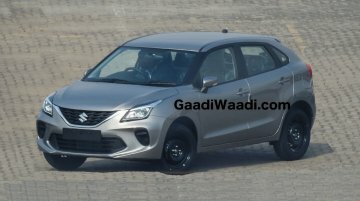 28 January - Maruti.. 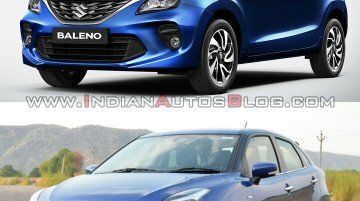 The Maruti Baleno RS is continuing in the Indian market with a facelift. 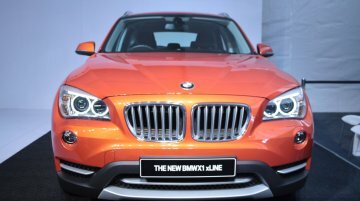 Dealership sources have told IAB that the updated model will cost INR 8.76 lakh (ex-showroom Delhi). 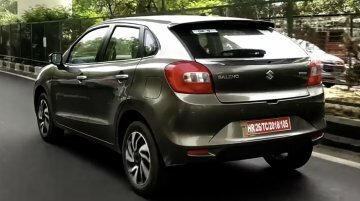 The grade-wise features of the 2019 Maruti Baleno have leaked, courtesy Team-BHP forum member kskthere. The facelifted model is days away from the launch now. 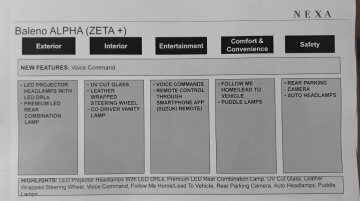 Key features of the 2019 Maruti Baleno have leaked online, and among them is the new SmartPlay infotainment system that looks the same as the 2019 Maruti WagonR’s SmartPlay Studio unit. With nine hatchbacks featuring in the top 20 best selling cars in India in 2018, it is apparent that small cars are the driving force of the Indian car market. 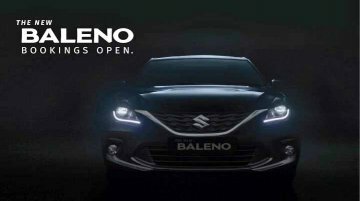 While car manufacturers are..
IAB learns that the 2019 Maruti Baleno (facelift), pre-orders of which commenced on January 22, would go on sale within ten days from now. 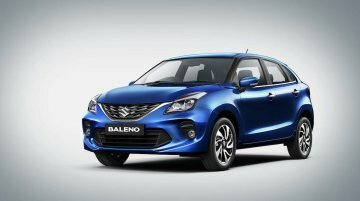 Pre-bookings of the refreshed B2-segmenter have been..
Maruti Suzuki India Ltd has announced the commencement of bookings for the 2019 Maruti Baleno (facelift). 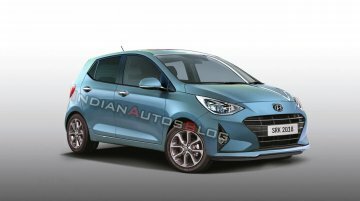 The refreshed version of the company's hot-selling B2-segment hatchback (it holds the..